Please see the attached pdf as a guide for taking your measurements. 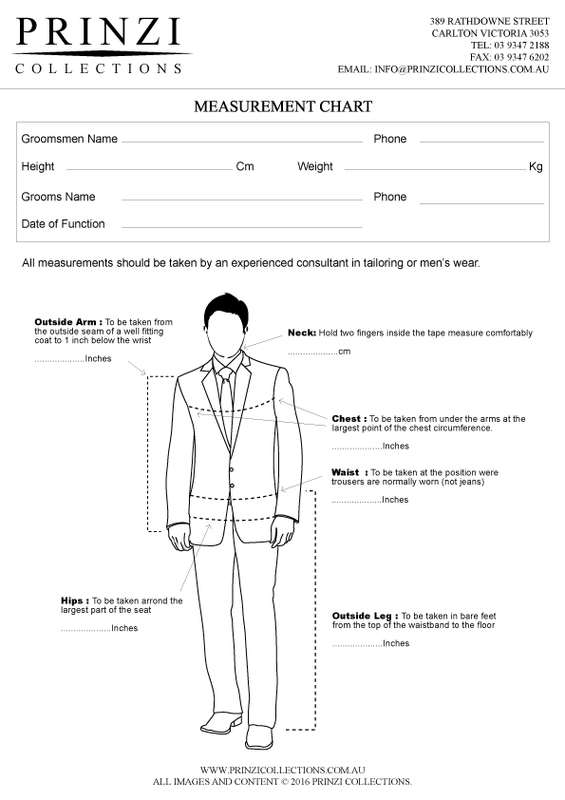 All measurements should be taken by an experienced consultant in tailoring or men’s wear. Click here to download our measurement chart.